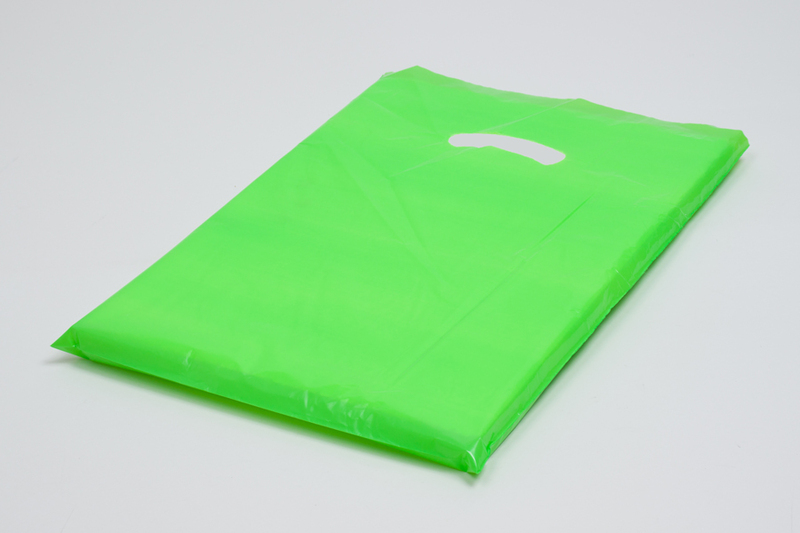 Our citrus green super gloss plastic bags are a popular choice for all types of retail businesses. 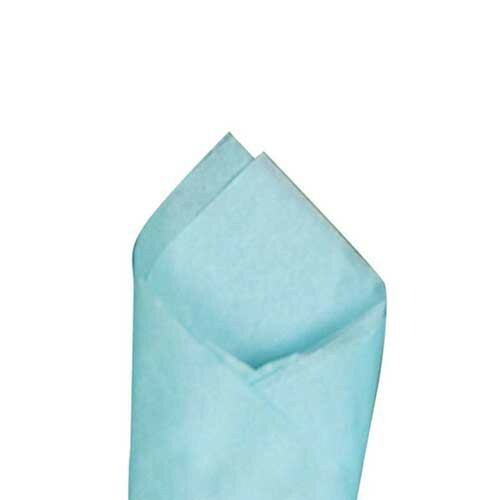 These plastic bags are made in the USA with a proprietary material that offers an extraordinary strength and value. 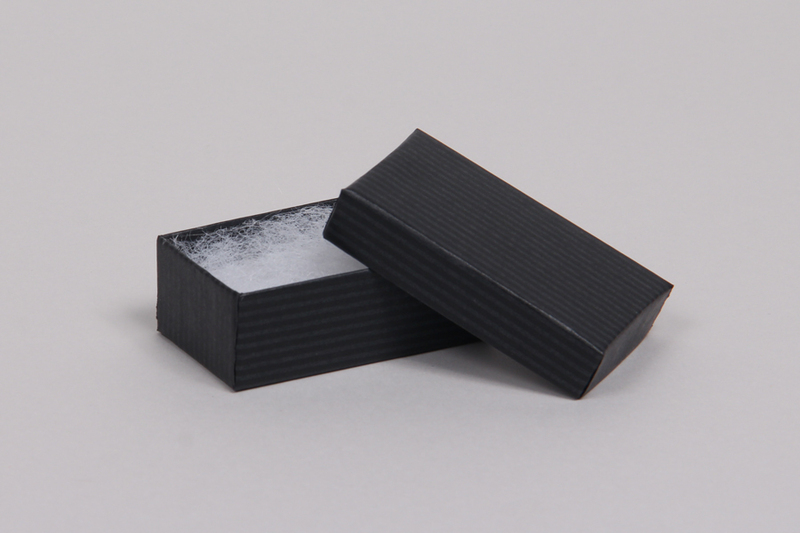 Our premium super gloss plastic bags are made from low density plastic which has a smooth look and feel with superior strength and flexibility. 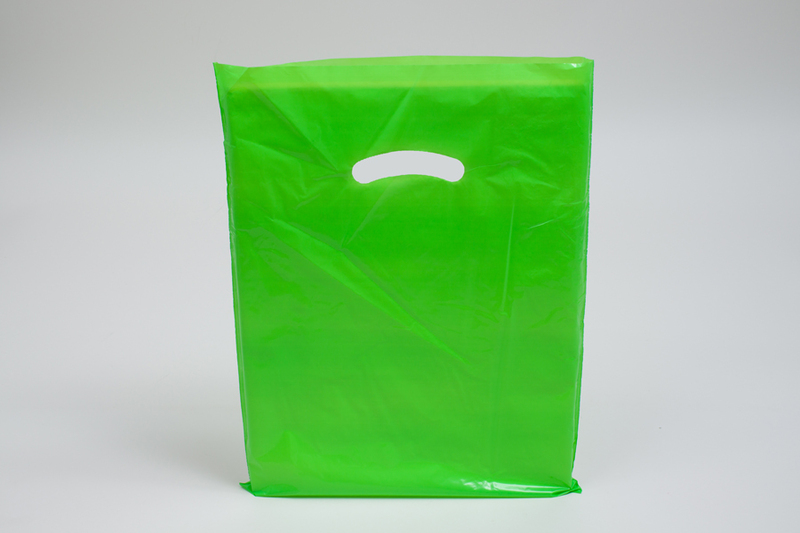 These plastic bags have oval die-cut handles and pinched bottoms. 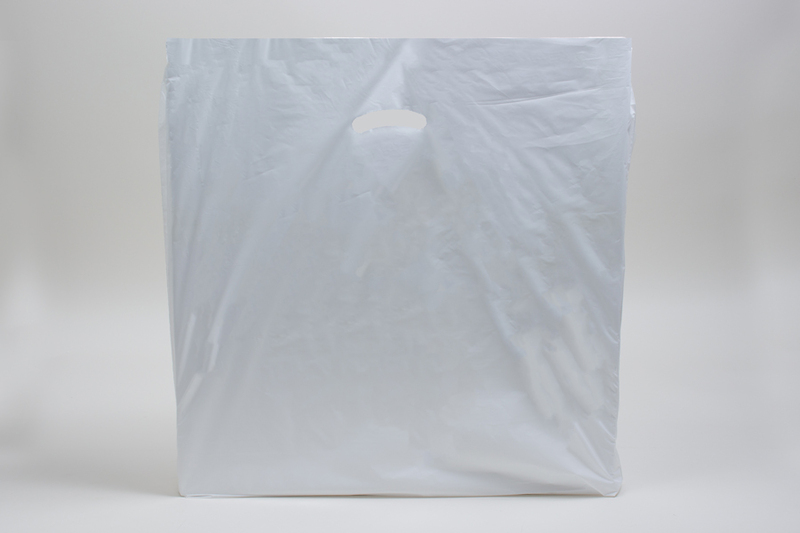 Super gloss plastic bags contain a minimum of 10% post-consumer and 15% post-industrial recycled plastic materials and are recyclable. 1000 bags per case.